When I was young, my father worked at NASA’s Goddard Space Flight Center in Greenbelt, Md., as a technician. One day, he brought my brother and I back into his lab, which was filled with guys in white lab coats looking very important, whirling around equally important-looking machines that permeated the room with an orchestra of electronic sounds and blinking red light bulb eyes. From that moment on, I was enthralled with NASA, space and the very concept of putting something on a rocket and shooting it into the void. It was only till a lot later in life that I realized the rest of the world was not as interested in the space program as I was. Two of the world’s greatest space programs were born in the late 1950s when the Soviet space program and NASA competed against each other in a variety of missions. The intent was to project military power and to facilitate national pride. 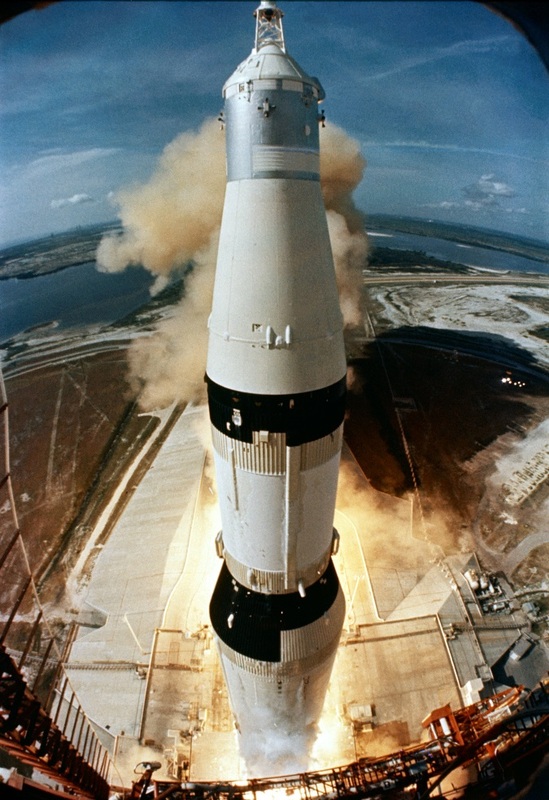 In the 1960s, during the Apollo program, America at one point spent up to 4% of the national budget on NASA. Fast forward to today and NASA, to many, is seen as a luxury program — unpopular with most people and overfunded for its results. It’s lost some of the grandeur of the past and is disconnected from the people. Government agencies that aren’t vital to the survival of a nation are irrevocably linked to their popularity. The more popular a program, the less likely it is that budget makers will cut its budget. Because of this, space agencies all over the world have started a major marketing media campaign to renew the 1960s passion of space exploration. To re-inspire interest they have used a variety of techniques that the every marketer can use, especially those marketing single events or nonprofit organizations. The ESA (European Space Agency) recently landed an unmanned lander on a comet. They used this event to gain brand awareness with a calculated marketing effort in traditional media and social media. To do so, they released data from the lander as it came in and held a live video conference as the lander landed. This entailed flooding social media with updates on the landers progress and holding a video Q-and-A. They targeted potential “customers” — such as taxpayers and youth interested in space — with a strategic individualized marketing plan that began years before the event. This was the fruit of years of effort of getting people involved and building a social web of interested individuals who would spread the awareness of ESA into nontraditional social circles. The greatest success comes through a detailed plan and the ESA’s plan has its roots in a 1998 paper written about how space organizations can market like nonprofits by Ph. Willekens and W.A. Peeters. With the end of the year approaching fast, it’s not only retail industry marketers who have campaigns to implement. It’s also a busy season for nonprofit marketers – a time of the year for holiday giving and year-end contributions. What can nonprofit marketers do to increase their fourth quarter revenue? We’re sharing three tips for you that have proven effective for others, and might prove useful for you, too. It can be hard to stand out in a crowded mailbox – both your physical mail box and email inbox. That’s why HealthConnect One wanted use both channels in its year-end campaign. The team had previously sent out direct mail including an appeal letter to its supporters, but they decided email might be a great way to reinforce the message. 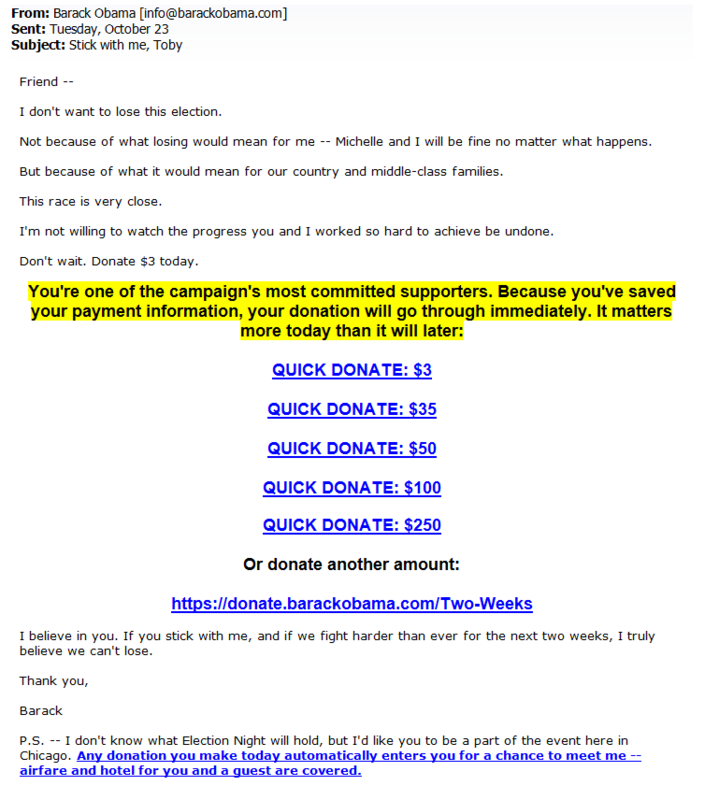 The Obama for America campaign wanted to enable repeat donors to effortlessly give again. This required a few steps. First, they encouraged donors to save their payment information during checkout. Second, they sent out emails with multiple calls-to-action (CTA) for different contribution levels. Third, with one click of the CTA, donors could donate again without visiting a landing page or filling out a form. The result? Conversion rates increased 300% on average when using the links. According to Web.com, 84% of small and medium businesses saw an increase in business activity due to their mobile marketing efforts. This got me thinking … how could mobile marketing help another segment that, much like SMBs, often has limited budgets and time to invest in new marketing tactics – non-profit and cause-based marketers. Apps have gotten a lot of buzz lately, but they are not the only way to reach a mobile audience. “Building a mobile app, a good one at least, isn’t cheap,” said Amy Sample Ward, Digital Advisor, Good360. You might want to start by optimizing your website and email marketing for mobile first. “Be sure to update form pages for signing up or donating so that people aren’t turned off when they can’t even make out the fields and complete the page,” Amy said. Once you’ve optimized your current presence for a mobile audience, how can you decide if an app is a logical next step? “See if mobile views and navigation, opens and clickthroughs on emails, etc. go up as you mobile-ize those areas of content,” Amy remarked. Think of all the organizations that have a single, powerful purpose that drives them. Google aims to help people find what they’re looking for online. AARP aims to enhance the aging population’s quality of life. Kohler aims to transform everyday commodities into art. Purpose should drive social media efforts as well. It worked for the Brooklyn Museum, which won the 2008 Forrester Groundswell Award for “Social Impact.” The museum created a Facebook application called ArtShare, hosted a crowd-curated exhibit online, and put its entire collection online. ArtShare allowed any museum or artist to share artwork on the social networking site. It allowed any Facebook user to display selected artworks on their profiles. The application attracted 3,007 active monthly users. The crowd-curated exhibit got 400,000 votes from the public. This might be a small example, but it’s one worth noting because these efforts raised awareness about the museum while perpetuating the museum’s mission. Is there a way to measure the ROI of social media? I ask this question all the time and rarely get a concrete answer because it’s just one of those tactics that’s difficult to measure. Research from MarketingSherpa’s new Social Media Marketing & PR Benchmark Guide suggests that 43% of marketers rank the inability to measure ROI the most significant barrier to social media adoption. I have been signed up for Barack Obama and John McCain’s email messages for well over a year. And my fellow Americans (sorry, I couldn’t resist, ‘Mac’ fans), I was let down by what I did NOT see on Wednesday or Thursday. Neither candidate had sent out an email to their subscriber list since the election results were in thanking them for their support. Obama’s Internet strategy has been pretty brilliant, so this glaring blind spot in ‘customer care’ was nearly shocking from his camp. I first recognized this yesterday, a day after Election Tuesday. At that time, I was willing to cut campaign managers David Axelrod and Rick Davis some slack. A Tuesday night or Wednesday morning email would have been best. But they and their teams had to be unbelievably tired and distracted. The last thing they were probably thinking about was another email send. But I thought: They really should be sending a ‘Thank You’ message on Thursday…any point after that would be kind of an embarrassment. I mean, both campaigns wisely used email to gather support. Whether it was donations, volunteering, soliciting help with phone banks, etc., each candidate was acquiring the resources of hard-working people via those messages. That’s unfortunate for both the Democratic and Republican brands. While the bad marketing on both parties’ watch will not matter in 2012, why take the risk of turning off your best supporters? It makes zero sense. Especially when you consider that both camps constantly sent emails this year. Several a week. One more. That’s all they had left to do. I got a call this week from a charitable organization. Their cause sounded very, very worthy. Most nonprofit organizations I’ve talked to have two core marketing missions: to solicit donations and get out the message. They need the funds to continue operating, and they need to get out the message to have an impact. I’ve also noticed that many nonprofits have less-than-stellar marketing. This is not a slight to nonprofit marketers. I think they just lack time and resources, not ability. We have written case studies about nonprofit marketers doing very interesting things and finding success.